This past year I have started having a fascination with drones. I bought a handful of drones because of how much fun they are. One done that I have been eyeing for a long time and excited to try out is the Halo Drone. 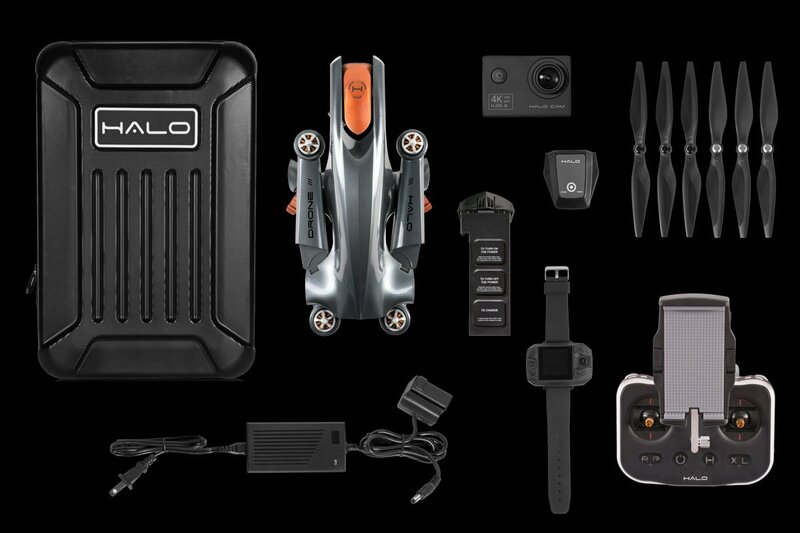 The reason I am so excited for the Halo Drone is because it is from the same company that does the Halo Rover Hoverboard (see my review of the Halo Rover here). Let's take a look at what makes the Halo Drone so great. Having a camera on a drone is one reason I like flying drones so much. Being able to see from up in the air has always been really fascinating to me. As I have started flying drones, I have noticed that almost all toy drones come with a camera. The problem is, the camera is almost always terrible. Not only that, but often the camera is built into the drone, so you are stuck with a terrible camera. 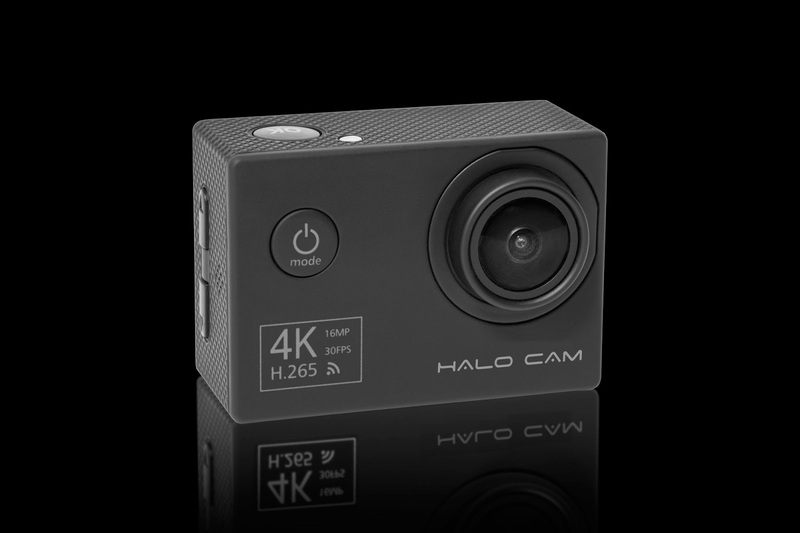 What makes the Halo Drone different, is not only do you get a high quality 4K camera (Sony IMX337 sensor 12 megapixel photo and 4K video at 30 FPS), but the camera is detachable. What this means is that in another 2-3 years when cameras have improved, you can easily upgrade to a better camera. 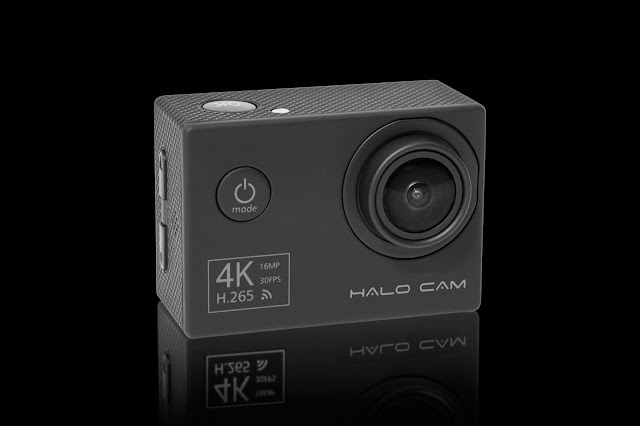 Now there are other drones that let you mount an action camera, but the great thing about the Halo Drone is that it comes with a gimbal that has ±0.02 degree precision stabilization and 2000 times correction per second. This can assure you that whatever camera you decide to use, you will end up getting very stable and smooth video. Lock its current position and altitude and automatically follow a target. Hover at its current position but only have the nose and camera follow a target. Follow a target based on a set altitude, distance, and angle, in one direction. Follow a target based on a set altitude, distance, and angle all while tracking the angle, direction, and speed of the target. Fly along a pre-determined route while keeping the camera on the target. Orbit around the surrounding target. Speed and radius can be adjusted. Shoot transitional footage used for panning or zooming in or out. These different modes allow for stellar video. Using the Halo Drone can easily take your video to the next level! 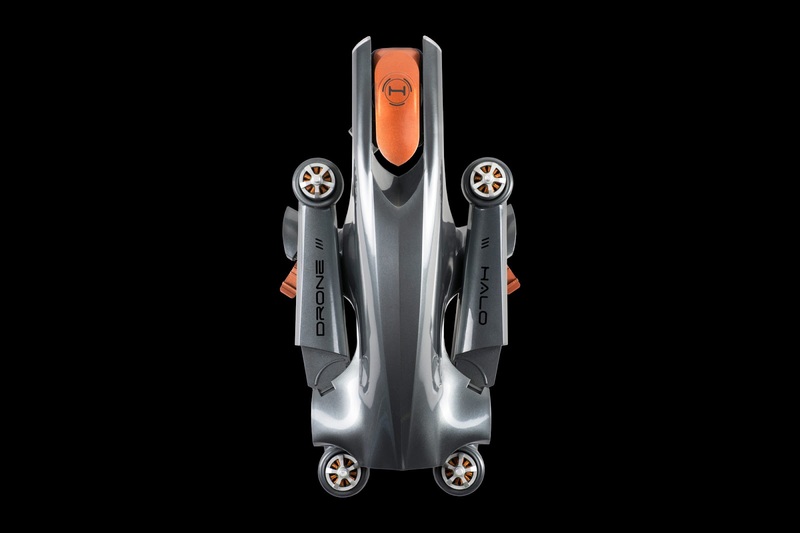 The Halo Drone is foldable. The ability to fold makes this very compact and much easier to carry and transport. This drone definitely has a unique design that sets it apart from other common drones. The Halo Drone has an intelligent control system that comes with a dual-core CPU. The altitude and heading reference system (AHRS) assures that you can get the drone stable and exactly where you want it. No need to keep fighting the joystick to get it to stay in place. 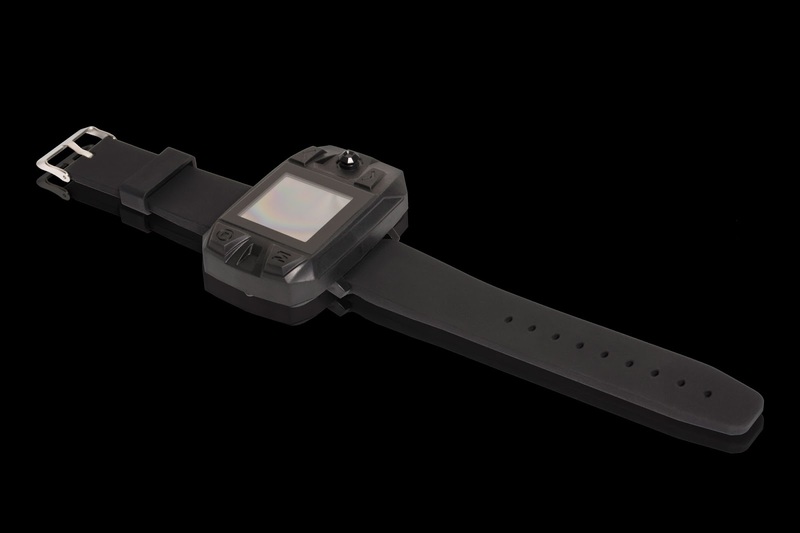 The Halo Drone has waypoint navigational modes. You can set a single or multiple points for the drone to orbit. Being able to program the drone like this is another reason why this is ideal for professional video. With a 6000mAh, this drone gets flight times of just over 20 minutes. 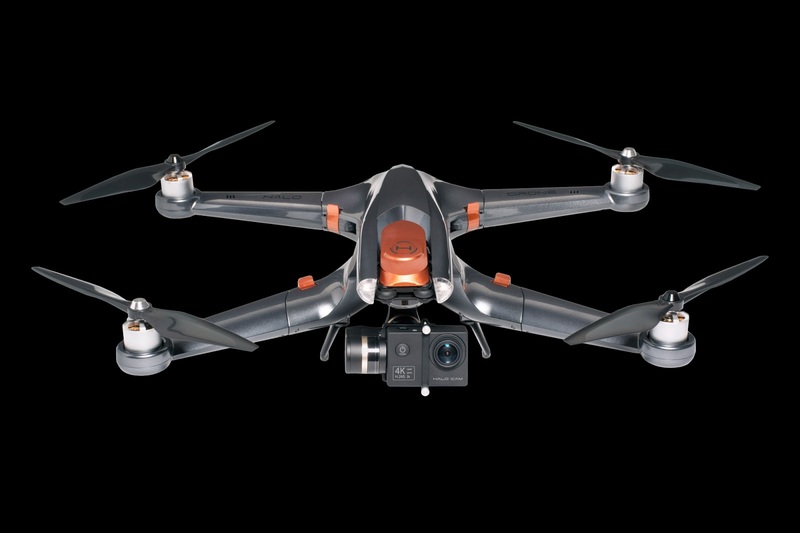 The Halo Drone is easy enough for a beginner, but powerful enough for a professional. You can get more information from Halo's website. 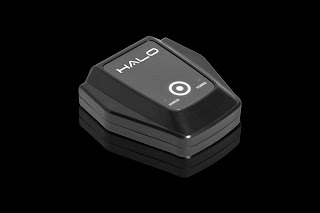 For $25 off, you can use the coupon code "TUTORIALGEEK25"
I have a couple of Halo's products and must say that I am VERY impressed with what they offer. The Halo Rover is probably the coolest hoverboard I have ever been on. Below are my affiliate links for some of the different amazing products that Halo has to offer. Don't forget to get $25 off with the coupon code "TUTORIALGEEK25"